It’s here! It’s here! 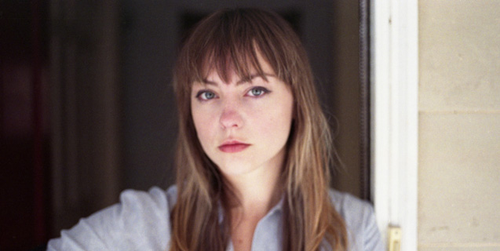 We’re smitten with St. Louis singer-songwriter Angel Olsen, and her new album Burn Your Fire For No Witness will surely have you doing the same. It’s now online for streaming in full over at NPR. Produced by John Congleton (The Walkmen, Modest Mouse, Okkervil River), Burn Your Fire For No Witness comes out next week on February 18 via Jagjaguwar. In the past, Olsen has stuck up classical folk songs with a country twang, but this time she’s trying something different. Prepare yourself for some truly spot-on, gritty, indie rock stemming from a tougher ‘tude, but don’t worry — she’s still tiptoeing around between soft vocals and operatic notes. If you like what you hear, go ahead and pre-order the album, and then pass the time waiting for it with her retro “Hi-Five” music video.